The Whitney Western Art Museum exhibits are grouped by subjects found in art of the West—wildlife, western landscapes, Native American depictions, western heroes and legends, and historic events—and so creates new conversations in art. The Frederic Remington studio and Alexander Phimister Proctor Studio Collection are also on view in the Whitney Museum, showing how these artists utilized their work spaces, often finding inspiration from their surroundings or drawing from personal experiences. The studios give a rare glimpse into these artists’ creative processes. Artist Joseph Henry Sharp established residence on the Crow Agency in Montana, living in a simple cabin with his wife Addie. His goal was to paint his favorite subject: Native American people. His Absarokee Hut, named for the Crow people, was restored and is part of the permanent collection of the Whitney Western Art Museum. Sharp, the father of the Taos Society of Artists in New Mexico in the late nineteenth, early twentieth century, captured intimate moments of Indian people throughout the Rocky mountains. 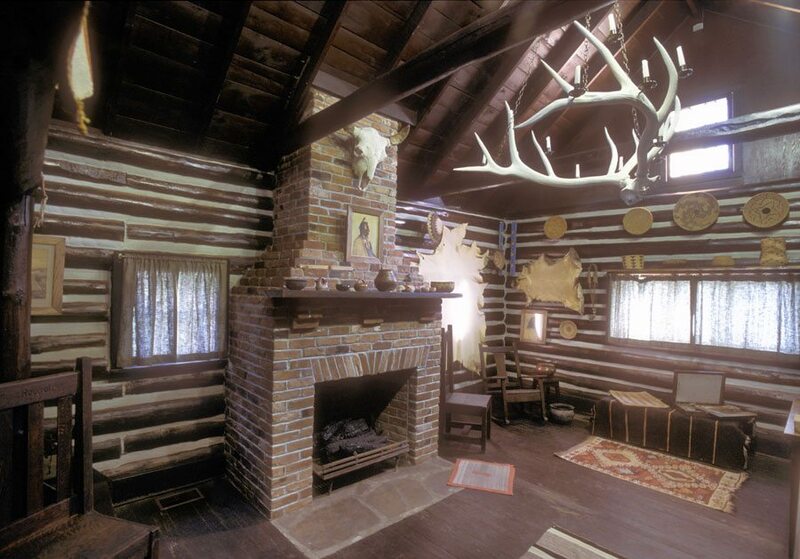 View several paintings, etchings, and photographs by Sharp near the entry to Sharp’s Cabin, then see the cabin itself. From late May through early October, the Cabin is furnished with Sharp’s original furniture and personal objects. Interior of the Joseph Henry Sharp Cabin: the Absarokee Hut, on view at the Buffalo Bill Center of the West.